Asparagus | MICHIGAN GROWN. MICHIGAN GREAT. These long green stalks are a favorite of many and are one of the state’s first crops to appear in the spring. They are fresh from late April through June and boast a variety of health benefits. Most Michigan asparagus is grown near the Lake Michigan shoreline, where moderate temperatures and soils are ideal. Michigan ranks second in the nation for asparagus production and acreage, producing up to 21 million pounds each year. Oceana County boasts the greatest volume of asparagus production, but there is also significant production in Southwest Michigan. 50% of Michigan asparagus is processed. 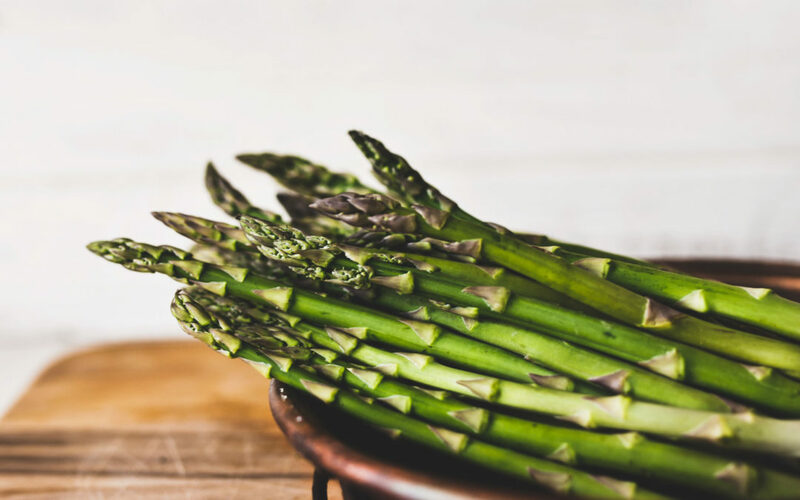 The total annual value of Michigan’s asparagus crop is around $20 million when leaving the farm, and the value soars to $30 million after packing and processing.